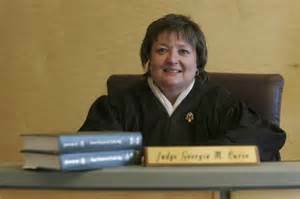 UPDATE: Click here for all case records to date, including the judge's October 24, 2016 order in my favor. A New Jersey Superior Court judge has determined that a Georgia man can access state records under the Open Public Records Act (OPRA). That differs with a decision rendered earlier this year by an Atlantic/Cape May County Superior Court judge who said out-of-state residents have no right to benefits of the act. This morning I won my public records request lawsuit filed against a New Jersey government agency. 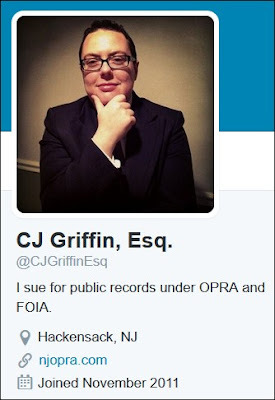 As I blogged some months ago, in June attorney CJ Griffin, who specializes in First Amendment law, filed the suit in New Jersey's Gloucester County Superior Court on my behalf. The case challenged a state agency called the Educational Information and Resource Center (EIRC) which denied a request for records I filed under New Jersey's Open Public Records Act (OPRA) because I'm not a resident of the Garden State. Today the Honorable Georgia M. Curio, Assignment Judge in Gloucester County, ruled that a person need not be a resident of New Jersey to gain access to government records under New Jersey’s Open Public Records Act. Despite OPRA’s opening statement that government records “shall be readily accessible to citizens of this State,” Judge Curio found that the remainder of OPRA’s statutory provisions clearly provide that “any person” may request records and that any ambiguity in the statute was to be construed in favor of access in accordance with the State’s public policy of transparency. Accordingly, she held that Peter Heimlich, an investigative blogger who resides in Georgia, had standing to request records from the Educational Information Resource Center in New Jersey. Curio is not the first judge to rule on this issue. Law Division judges in Burlington County and Ocean County have both held that “any person” may request government records under OPRA, not just citizens. One judge, however, in Atlantic County, has found that only citizens of New Jersey may request records. That decision is currently being appealed. Click here for all the case documents I have -- I'll upload more as available.